The success of the Ushuaïa Ibiza Beach Hotel is not accidental. It stems from merging the expertise of the best beach club in the world with the know-how of the multinational Palladium Hotel Group corporation, founded in the late 60s and currently comprised of nine unique brands and 48 hotels operating in Spain, Mexico, the Dominican Republic, Jamaica, Sicily, and Brazil. 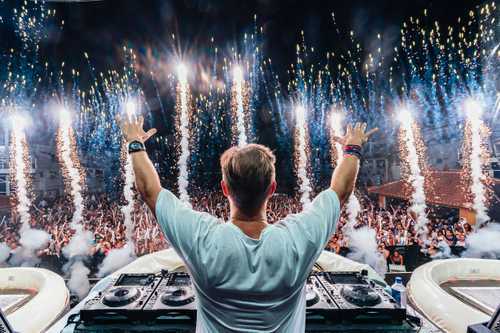 During the 2008, 2009, and 2010 summer seasons, Ushuaïa Ibiza Beach Club, located as always in the Playa D’en Bossa beach, has organized the best outdoor parties in the island, launching mega important DJs like Luciano or Sasha into superstardom. 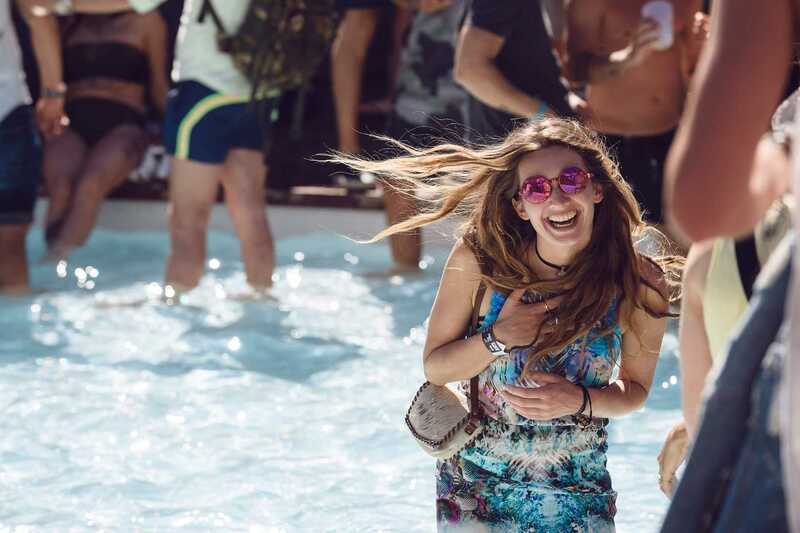 Under the artistic direction of entrepreneur Yann Pissenem, who has 15 years of nightclub and event experience under his belt, the venue was named World’s Best Beach Club by DJ magazine. Once the idea of creating the Ushuaïa Ibiza Beach Hotel came about, the task of remodelling the former Fiesta Club Playa d’en Bossa—a property of the Palladium Hotel Group—began, transforming the venue into an innovative combination of the famous beach club and a luxury hotel. Designed for fans of music, the latest trends, and most innovative spaces, The Ushuaïa Ibiza Beach Hotel summer 2011 season took off in grand style. In 2013, after the success of the first and second seasons of the Ushuaïa Ibiza Beach Hotel, Palladium Hotel Group opened The Ushuaïa Tower. The new hotel featured a complete remodelling of all eight floors of the former Fiesta Playa d'en Bossa hotel. Since then, the Ushuaïa hotel complex consists of two adjacent venues: The Ushuaïa Club—formerly known as the Ushuaïa Ibiza Beach Hotel—features a spectacular poolside stage, while The Ushuaïa Tower boasts exceptional views of both the ocean and The Ushuaïa Club stage. Throughout the years, Ushuaïa Ibiza has consistently increased its international standing, receiving prominent awards from both the hotel industry and the electronic music world. For the last two years, the hotel complex has received the Golden Moon—an award given to the top club of the World’s 100 Best Clubs list—the most important international award given to nightclubs. This in addition to other awards that highlight the quality of hotel services and constant dedication to technology combined with high standards of maintenance. 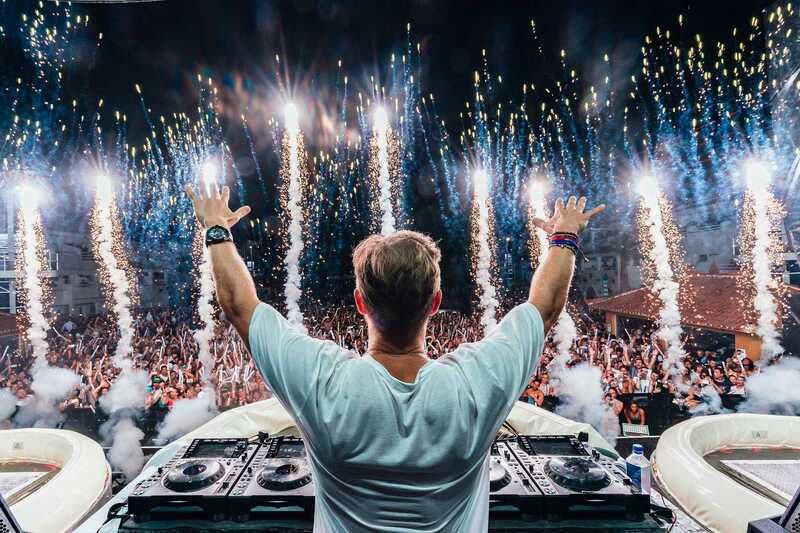 At Ushuaïa Ibiza, the gastronomic choices have grown through the years to include the select cuisine of its two beach clubs, Ushuaïa Beach Club and Sir Rocco Beach Club by Ushuaïa, and three restaurants, Minami, Montauk, and The Oyster and Caviar Bar. The menus offer excellent grilled meats, delicious Japanese cooking, Mediterranean specialties, and the freshest seafood and fish. Since its inauguration in summer 2011, Ushuaïa Ibiza Beach Hotel has received various awards recognizing its quality and originality. A unique and premium product on the island of Ibiza. International Nightlife Association, #1 in the Top 100 World's Best Clubs ranking. Vicious Music Awards. Best Party in Ibiza. Booking.com : “Guest Rewiew Award” with the score of 8,2. EventoPlus Ibérico Awards - The Unexpected Machine, Gold for Best Promotional Event, Silver for Best Technical Staging and Bronze for Best Entertainment and Show. International Nightlife Association, #2 in the Top 100 World's Best Clubs ranking. Vicious Music Awards, Best Club Hotel of the Year. Muchotickets. Best Viral Campaign and Best Billboard – ANTS; Best Merchandising – Ushuaïa Ibiza. Golden Moon Awards, Best Club in the World. DJ Mag, #9 in the Top 100 Clubs ranking. International Nightlife Association, First venue in the world to receive the 'Secure Nightlife Venue' distinction. European Hospitality Awards. Best Use of Technology. Worldwide Hospitality Awards. Finalist, Best Hotel Innovation. Hot Concepts Spain 2014 Awards - Restauración News Magazine. The restaurants located at Ushuaïa Ibiza Beach Hotel, Minami, Montauk Steakhouse and The Oyster & Caviar Bar, won the award in the “Fine Dining” category. Vicious Music Awards. Best Club Hotel of the Year, and Best Party in Ibiza: ANTS. European Hotel Design Awards. Architecture of the Year Award: Conversion and/or Extension of an Existing Hotel Building. Vicious Music Awards. Best Club Hotel of the Year, by popular vote. Vicious Music Awards. Best Beach Club, by popular vote; Best Beach Club, by jury vote; and Award for Innovation and Contributions to Electronic Music given to Ushuaïa’s Artistic Director, Yann Pissenem. UK Travel Marketing Awards – Best Strategic Communications Campaign.